The League of NH Craftsmen Nashua Fine Craft Gallery will take part once again for this great night of sampling the treats of Nashua restaurants. Enjoy the treats of our Gallery while you enjoy the tastes of local chefs. Ticket info here. The Taste of Downtown event is designed to allow visitors to get up-close-and-personal with the chefs from Downtown’s award-winning restaurants and at the same time explore downtown shops. With over 20 years under it’s belt, the Taste of Downtown is now the longest-running event of its kind in New Hampshire. 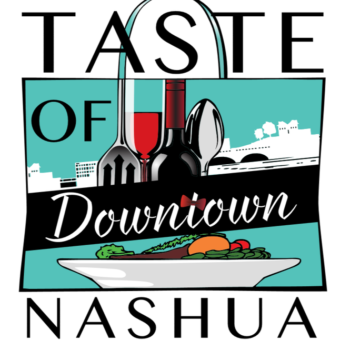 Organized by Great American Downtown, Nashua’s Taste has developed into one of the best organized, fun, and mouthwatering community events in the state. Each event ticket contains a treasure map filled with taste discoveries. Ticketholders can plan their routes in advance based on their food and beverage preferences. Many aren’t able to make the complete round of all stops, as they are stuffed after their first 15 stops – so plan your route wisely. Flavors abound, from savory to sweet, there is always something for everyone! And with over 25 restaurants and caterers participating, visitors are likely to discover a new eatery to add to their list of favorites.